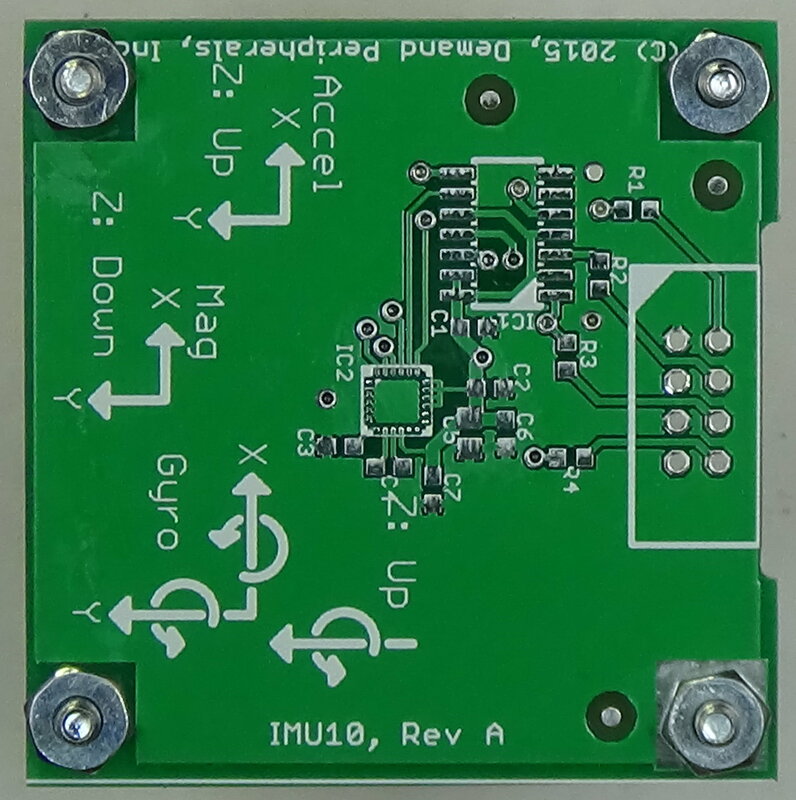 The 9DOF IMU card (IMU10) uses a LSM9DS0 to give temperature and three axix measurements of acceleration, rotation, and magnetic field strength. The IMU10 must be paired with the "imu10" FPGA peripheral. The schematic and layout of the IMU10 are shown below. 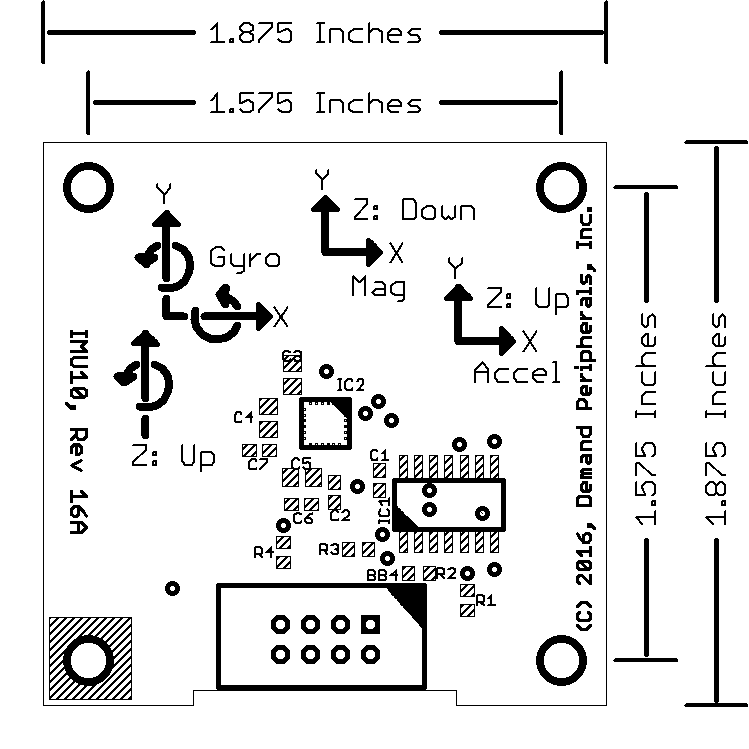 The Eagle schematic and board files are available here: imu10.sch and imu10.brd. The bill-of-materials file is available here: imu10.txt.